Advent partners with many groups and individuals to help make our community a better place. A selection are noted below. Since 1999, the Wyckoff Love Fund has provided emergency financial assistance to families and children in Wyckoff. If you know someone who would benefit from the Love Fund, please contact the church office. You can learn more here. Advent is a partner of Wyckoff Stigma Free, a coalition of educators, students, health care professionals, clergy, and community members dedicated to reducing the stigma around mental illness. Advent frequently provides food and other necessities to people in need through the Center for Food Action in Mahwah. You can learn more here. 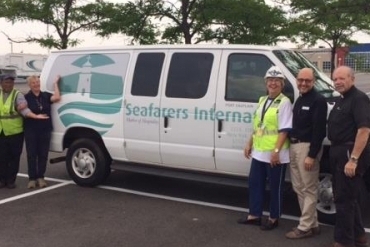 Advent partners with SIH to provide for vulnerable seafarers and sojourners. An ecumenical mission of the Evangelical Lutheran Church in America, SIH nurtures the human spirit and fosters human dignity by providing pastoral care, social assistance, advocacy and prayer. You can learn more here. Advent frequently organizes opportunities for community service, including serving meals to and organizing donations for people in need. Keep an eye on the church calendar for more information on upcoming service opportunities.